Audience watching maiko perform Miyako Odori (都をどり). The maiko in the front row are dancing with fans, while the ones in the back are beating Taiko drums. Paper lanterns are hanging from the ceiling. 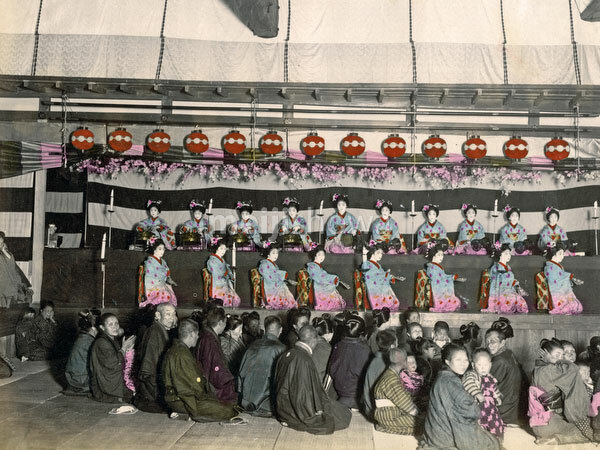 Miyako Odori was first performed at the Kyoto Exposition (第1回京都博覧会) in 1872 (Meiji 5).